Mangalore popularly known as ” Kudla” in local language, is the coastal lovers paradise and a city of palms, culture and rich tradition. It is a small city with a population not more than 7 Lakhs. The city Mangalore was named after the local Hindu deity Mangaladevi. Mangalore is known for its beaches, temples and industries. There are several languages spoken there, including Tulu, Konkani, Kannada, and Beary. Lying on the Backwaters formed by the Netravati and Gurupura rivers, it has long been a roadstead along the Malabar Coast. Mangalore is a home for many Financial Institutions having around 176 Commercial Banks in itself and, Educational Institutions and Medical Institutions . Mangalore is the headquarters for Dakshina Kannada District. The Dakshina Kannada District is proud to have the Headquarters of five Nationalised Banks, Syndicate Bank at Manipal , Corporation Bank, Canara Bank, Vijaya Bank and Karnataka Bank. Several Scheduled Banks like Mangalore Catholic Co-operative Bank (MCC Bank), SCDCC bank and Lord Krishna Bank are also based here. Other Banks with a prominent presence Shamrao Vittal Co-operative Bank (SVC Bank) with its Headquarters in Mumbai but roots in Mangalore.The literacy level in Urban Mangalore is 86% and 76% being in Rural Mangalore. This city has given shelter to people from all walks of life. People of various professions and crafts have migrated to this region at different times. Kannada, Marathi, Konkani and Malayalam speaking people have joined those practicing the same profession here. The migrants have joined the mainstream of Tulunadu through marriage and professional relations. Hinduism is followed by about 60% of the population. Among the indigenous Hindus, the Billavas, Bunts and Mogaveeras from the biggest groups. Besides the Hindu pantheon of gods, the Mother goddess, Naga (the serpent god) and divine spirits are worshipped throughout the district. Around 12% of the district population are followers of Christianity. The ancestors of many Mangalore Christians are Goans who were welcomed by the rulers of Bednore for their skill in agriculture. Konkani speaking Catholics Christians , Konkani’s, Bunts, and Poojari’s are the highest in number. Muslims constitute about 18% of the population. The arab traders who came in 7th century to Mangalore married local women and their progeny were named Bearys in Mangalore (Mangalore is also called South Kanara). Here you can also find sizeable group of people who were basically land owners, following Jainism. Some famous Jain centers of pilgrimage are located here like Gomateshwara Betta in Karkala and Dharmastala and some more Jain temples in Moodbidri. Buddhism also flourished here in the early centuries. There is evidence for this in the caves of Kadri Temple in Mangalore. Mangalore is a small place even though it has many interesting places. It has been a tourist attraction place for many years. Mangalore has got some of the good hotels with comfortable Boarding and Lodging for the tourists at reasonable prices.It makes any tourist feel Home away from Home, that is the reason once visited would like to come back again and again. Mangalore is well connected by Road, Rail and Air. Mangalore is strategically situated about 300 Kilometers South of Goa and 300 Kilometers due West of Bangalore with National highways connecting to both sides. Regular Karnataka State Road Transport Corporation (KSRTC) buses from Mysore, Bangalore, Goa and Mumbai. Private buses too operate at competetive rates. 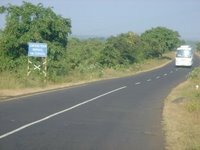 The Northern tip of Kerala is just 60 Kms South of Mangalore and a National Highway links Mangalore to Cochin. Mangalore is rich in Tradition and Culture. Mangaloreans are not very orthodox. All the Festivals, rituals and customs are very unique from rest of India. Traditionally, men wear Panche or Lungi (Mundu as called in Tulu), usually most men wear white colour mundu only. The women folk wear Saree and Blouse, young girls wear langa and blouse. The older women wear hand woven saree (Maggada saree). These days due to strong city influence young girls have started wearing nighties and Chudidars. Married women wear the usual “Thali” or “Karimani” (black beads in gold string) and wear silver Toe Rings on their second toe (kaar oongila in tulu). Their hands are decorated by coloured glass Bangles (kuppida kaaji in tulu), ears with gold ear rings, finger with the gold wedding ring (Voddi Ungila) and nose with a single white stone stud (Moonkuthi in tulu). Men as such do not wear any gold, but these days you can find men wearing gold chain and finger ring. Mangaloreans eat a very good and heavy breakfast. There are a variety of breakfast they make in the morning, these can be Idli, Neer Dose, Urdu Dose, Pundi (Kind of rice idli and is hard), sajjige bajill (Khara bath with pova), Moode (kind of Idli), Pathrode, semige (kind of Rice Noodle). These are all traditional Mangalore dishes and are made always in the conventional method. Breakfast is always served with Tea or Coffee sometimes people prefer “Ganji” (boiled rice water) with little salt. In villages people eat “Ganji” in the morning with little Pickle or Dry Fishchutney. Afternoon Mangaloreans do not have heavy lunch, they eat raw rice or “Urpel Ari” (Boiled Rice which is dark brown in colour) with some coconut vegetable gravy, pickle and butter milk. This region is famous for its unique seafood preparations which are cooked in the variety of ways, from spicy fish curries to pungent masala fried fish, grilled or curried Tiger Prawns, or baked Crabs. In addition to this, pork dishes, Kori Sukkas, Kori Rotti, Ganji, Chutney and dry fish curry are perfectly complemented with boiled rice. Fish is in Mangalorean`s everyday diet, it is eaten with boiled rice. For dinner boiled rice is eaten with coconut fish gravy or fish fry. Cashew Liquor (Fenny) and Toddy (palm wine) are the traditional drinks that lightens any social gathering. Snuff, Beedi and Betel-Leaf chewing are the common habits in the rural areas of the district. This entry was posted in Mangalore and tagged classifieds, coastal karnataka, Mangalore, Mangalore links, manipal, property, real estate, udupi, yellow pages. Bookmark the permalink.